Corinthia Hotels, the five-star collection of hotels around the world, has pulled out all the stops to create a memorable festive season for guests this Christmas. From the winter wonderland of St Petersburg to the balmier climes of Malta, this December, Corinthia Hotels has a feast of festive gourmet offerings and packages to tempt those wishing to spend Christmas in the lap of luxury. A sparkling two-night package over Christmas Eve includes buffet breakfast, Christmas Eve buffet dinner, welcome in-room treat, late check-out, plus complimentary stays and 50% discount on Christmas Eve buffet dinner for children under 12 years old. From 230 Euros (approx. $270.00 USD). Celebrate New Year’s Eve in style with the hotel’s two-night New Year’s Eve package which includes a fabulous gala dinner with live music and access to the hotel’s pool and gym. From 370 Euros (approx. $435.00 USD). Guests can delight in an array of foodie events, a spectacular lighting ceremony, Christmas Eve dinner, Christmas Day breakfast and lunch, and the much-anticipated New Year’s Eve activities. A Christmas Eve dinner, Christmas breakfast after midnight mass, New Year’s Eve celebrations, and a pampering Christmas Spa Package are among the festivities offered at Corinthia’s only resort hotel. A minimum two-night stay Christmas package includes 40% off accommodation (from 160 Euros, approx. $187.00 USD per night), breakfast, warming mulled wine on arrival, a Christmas gift in your room, 15% off treatments at the Apollo Day Spa, and a late check-out at 3pm. 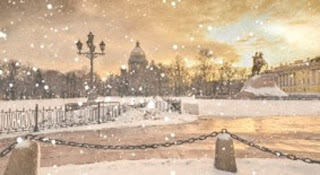 A four-course Christmas Eve Dinner, festive Christmas lunch, sumptuous afternoon tea and New Year’s Eve four-course dinner are among the Christmas feasts at this elegant 19th century hotel located centrally on Nevsky Prospect, the city’s main thoroughfare. A Christmas package available between December 23rd and January 7th 2018 offers a four-night stay for the price of three and also includes welcome drink and sweets on arrival, breakfast, accommodation in a deluxe room, and access to the gym and sauna. The New Year’s Eve dinner is priced at 14,500 RUB (approx. $250.00 USD) per person.